Want to fundraise but not sure what to do? Canine Partners needs your stamps! 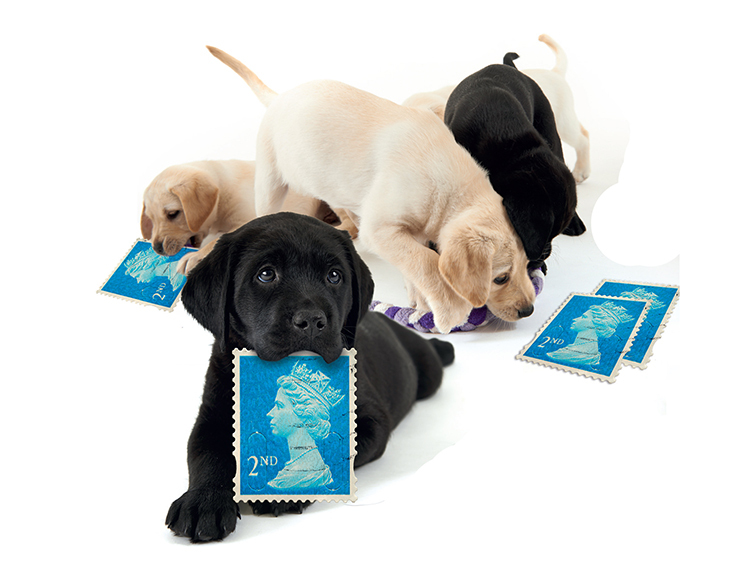 Collect stamps and help us raise money to fund a dog through their advanced training. All kinds of stamps are welcome, on or off paper. You just need to leave no more than a 5mm single thickness border around them, and the perforations should not be damaged. Any commemorative or special stamps should be sent, or handed over, separately. Anyone can help; individuals, businesses and schoolchildren can all collect stamps for Canine Partners. We can turn them into funds to help train more dogs for people with disabilities. So remember to keep all the stamps you receive! Thank you to all our wonderful stamp appeal supporters who have donated stamps so far. Keep sending them in, we always need more! Please note that you will need to pay for postage to send your stamps in as we cannot provide Freepost envelopes. Download and print off a Stamp Appeal poster to display at school, work or on community notice boards. You could even ask local businesses to promote them for you too!